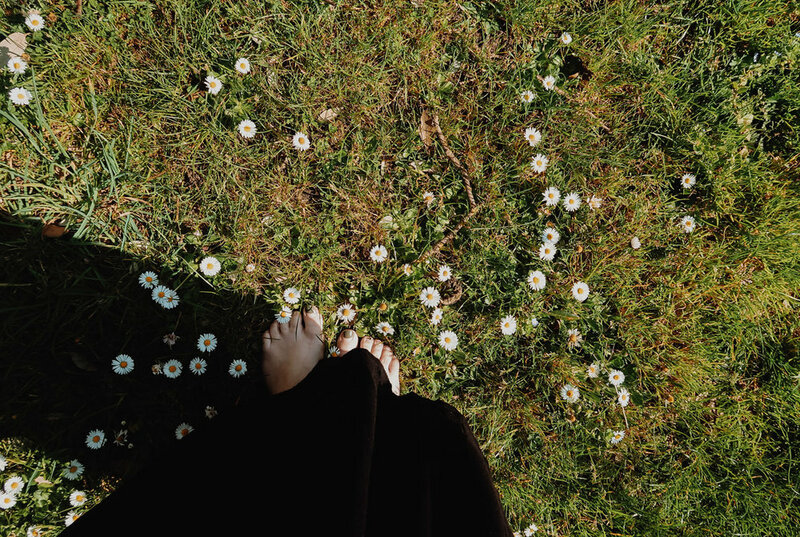 New beginnings, fresh starts, bare feet and white sheets can only mean one thing - it’s Spring! You can’t help but feel rejuvenated at this time of year, which is why it’s the perfect time to declutter. And it definitely is but I’m careful not to get too caught up in throwing my life away, as that’s what spring use to mean to me. A mass declutter, a season of feeling good and then slowly, slowly, stuff would return and the cycle would repeat again. This was because I was decluttering for the sake of decluttering. I wasn’t being intentional about what I was getting rid of and why, I just got carried away with minimising all of the things and more. Thankfully, I learnt to hold onto that spring feeling long after the blossom flew away, by simplifying thoughtfully and intentionally to make it last My house generally always feels like I’ve just spring cleaned and my precious time, is now being better spent outside of those windows, rather than inside cleaning them. Maybe you want to hang onto that Spring feeling too? Maybe you want to go further than the initial clean and declutter and make habits that are built to last. Maybe this season of hope and growth, is just the thing you need to guide you forwards. So hold onto that hope with everything you have, wrap it around your fingers with the dishcloth and refuse to let it go. Because this feeling can be permanent, it’s just going to take hard work, elbow grease and all. First we need to start with cleaning and decluttering the home. And it doesn’t initially need to be a big declutter but it does need to be done. The reason spring cleaning feels so good, is because we are batting the rugs, cleaning the windows and scrubbing the floors. Just knowing that the corners are clean and the cupboards are tidy, make things lighter all round. So by all means start in spring but keep going until you are happy with the amount that remains. And there are no set numbers or rules, only you know is enough for you and that number can change, make it what you will. Now, I know that there are loads of minimalist memes about not buying more storage to store your things and I totally agree - I use to be someone who always thought the answer, was more storage. But if you are intentional about your space and what you let into it, an organised home can be wonderful. When you have a place for everything with everything in its place, you get more time to live instead of spending your time, returning things to wherever they fit. Next up is the closets, the wardrobes, the drawers. Those clothes you hold onto but can’t remember the last time they were worn, seriously need to go. Along with anything else that triggers you and makes you feel bad. The too small jeans and tops with the stains, declutter them. I promise that your wardrobe, your eyes and your soul will thank you, for only keeping what you love and use. Then it’s onto decluttering your time, your calendar and to do list, to see if your values align. Are you doing things that make you happy, or are doing things to pacify everyone else? If it’s the latter, simplify your commitments and declutter the things that are distracting you, from what matters most. Do you really have to keep seeing the friend that drains you, or bake that cake that you really don’t want to make. Do you really have to run around after everyone, whilst leaving no time leftover for yourself? And I know that it’s hard, we feel obliged to do as we have always done. But nothing will change unless we do and those that matter, will respect you whatever you decide. While we are on the subject of others, lets talk about that thing attached to your hand - your phone. Are you happy with the amount of time you spend on it, or do you want to do more of something else? I love my phone, it’s a wealth of information and connection right by my side. But sometimes, that connection can be at the expense of losing the same thing with those around us, or even with ourselves. And I’m not suggesting we do away with it, I’m as obsessed as anyone else. But maybe we could put it away and use our hands to read, to make, to sow. And then for spring cleaning the trickiest thing of all. The things we can’t see; the clutter that takes up space inside our head. Because it’s all well and good, decluttering our homes and our lives but if we are carrying around a heavy load, there comes a time when we have to put it down. To rid the stories we believe that weigh us down like sand, to make room to love ourselves, as we are. And doing this will be a long season of discovering yourself, underneath it all. It will be messy, awkward and you will have to face all of the feelings, you’ve been covering with bags full of more. But it will be the greatest thing you ever declutter if you make it this far, which I know you will as you are stronger than you know. Now that we have a tidy home, spare time and a spring cleaned life, it’s time to think about what we really want. What does your soul call you towards and are you actively working to get it? Maybe your priorities still aren’t quite where they should be and you need to think again. What’s going to bring you joy, a personal venture, a new home, or maybe you just want to take the time to meditate as you drink your tea. So lets bloom with the flowers this season and beyond. Let’s open our windows wide, of our homes and our hearts and let’s let the light in, let’s let in the light.